This year marks the third year that the Florida International Youth Dressage Championships selected JustWorld International as their charity partner. 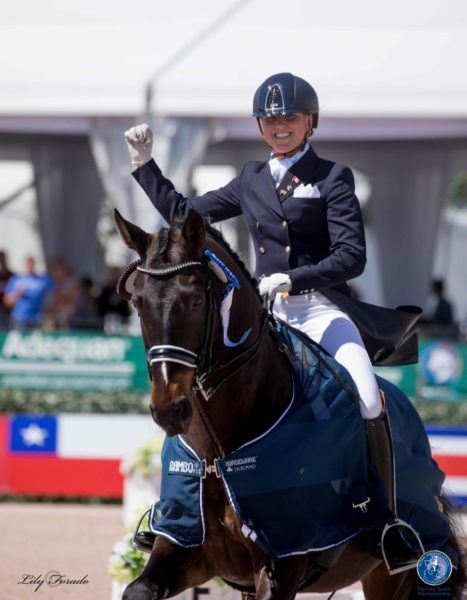 The annual event is held during Week 10 of the Adequan® Global Dressage Festival at the Palm Beach International Equestrian Center in Wellington, Florida. 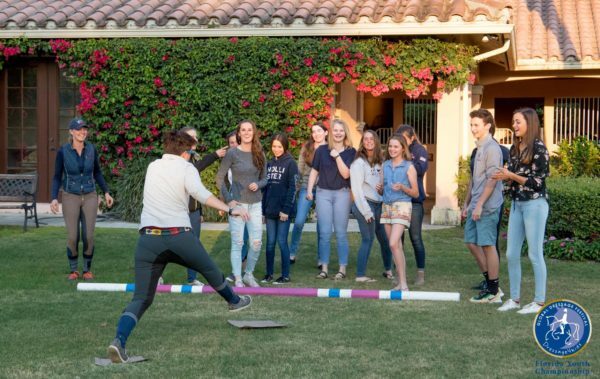 The youth competition, presented by Sarah Davis, Terri Kane, Hampton Green Farm, USEF Owners’ Dressage Task Force and Lendon Gray’s Dressage 4 Kids featured riders representing six countries at one of the highest profile dressage competitions in the world. 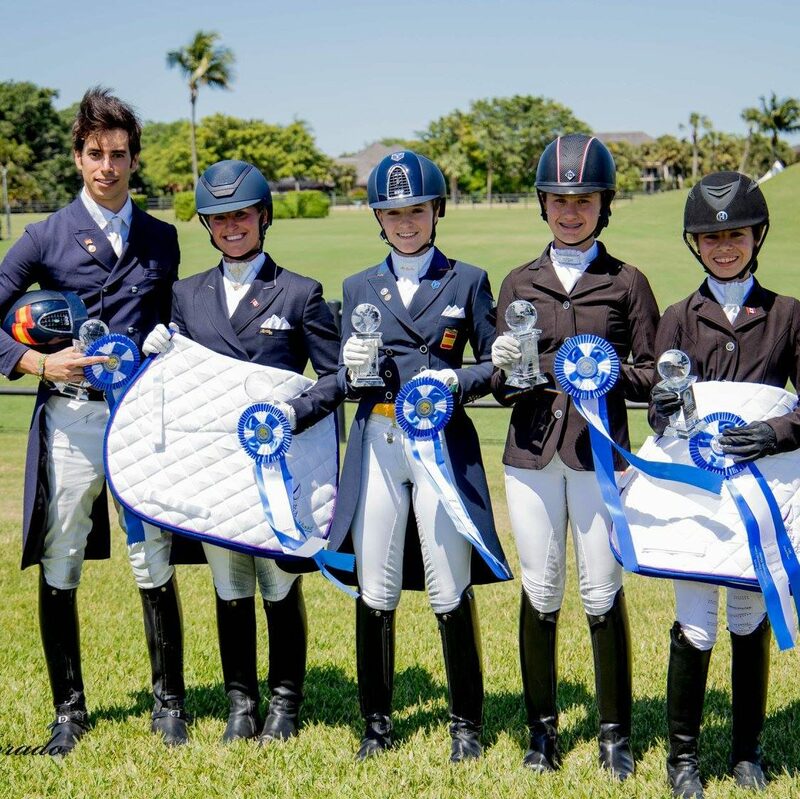 These talented riders travel to Wellington to showcase their skills in the Under-25, Young Rider, Junior, Children, and Pony divisions and compete for top prizes. To kick off the competition week, JustWorld’s headquarters hosted a “Taco Tuesday Welcome Dinner”. 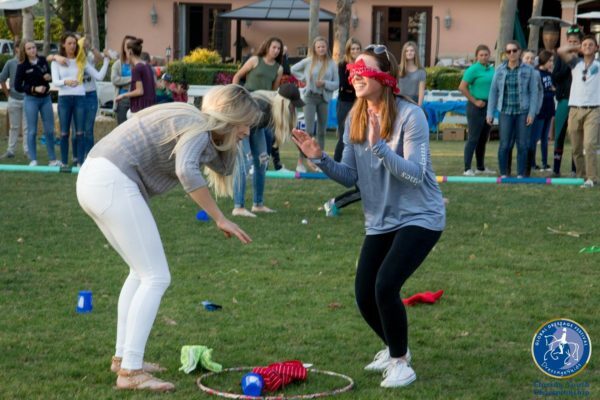 This fun-filled evening gathered competitors together not only to learn more about JustWorld’s mission, the projects they support, and ways to give back, but also to put their communication and leadership skills to the test with a course of fast-paced, interactive team building games and activities. Upon the close of the final day of competition, the riders’ scores were not the only remarkable outcomes resulting from this exciting week of competition. An amazing group of JustWorld supporters, once again this year, made a donation on behalf of the top finishers in each division. This generous donation of $8,000 provided the winners with an incredible opportunity- to collaborate with one another and determine which programs their division’s portion of the donation would fund at JustWorld’s projects in Cambodia, Guatemala or Honduras. Pony/Children Division’s Lily-Rose Lemaire, Scarlett Hansen, Tori Belles and Annelise Klepper came together to provide books for the mobile library and community libraries at JustWorld’s project in Honduras, Asociación Compartir, aiding more than 5,500 children in their education. Junior riders Emma Asher, Juliette Cain and Natalia Bacariza chose to provide one month of lunches for all 250 students attending school at Los Patojos, JustWorld’s project in Guatemala. Young Riders Beatrice Boucher, Vanessa Creech-Terauds and Camille Carier Bergeron chose to provide school supplies for 150 students for one year at JustWorld’s project, People Improvement Organization, in Cambodia. Under-25 winners Rodrigo Encinas Fuentes, Codi Harrison and Natalie Pai will also aid JustWorld’s Cambodian project by providing enough funding to support lunch for thirteen students for a full year.